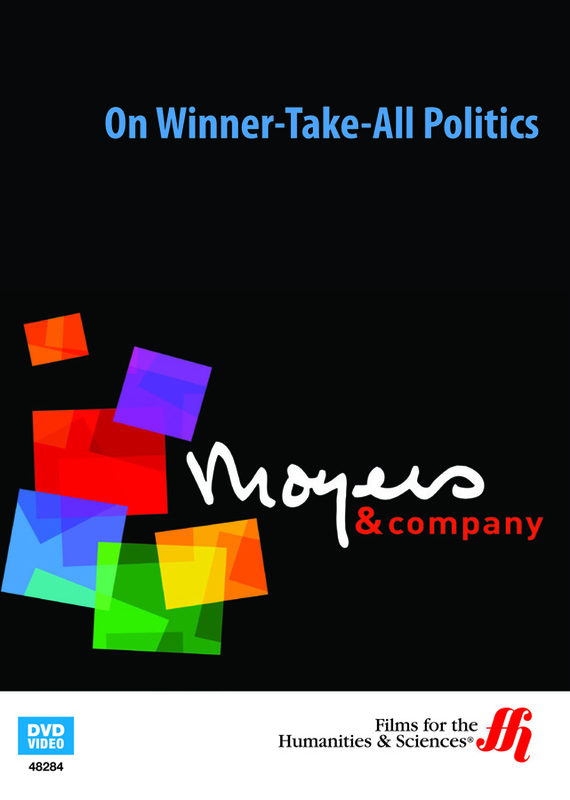 This episode of the Bill Moyers program includes an informative interview with Jacob Hacker and Paul Pierson, authors of Winner-Take-All Politics: How Washington Made the Rich Richer and Turned Its Back on the Middle Class. American politics of late seems to be a test of who can raise the most cash. It takes lots of money to run a campaign. Those who do not have access to millions of dollars may find themselves unable to defeat a better endowed opponent. A barrage of negative advertising will undoubtedly finish off such an unfortunate candidate. As viewers learn in this DVD, the result is that candidates seem to support issues that are in the best interests of big business and the wealthy. This is where the money is. In this episode, Bill Moyers discusses this current state of politics with Jacob Hacker and Paul Pierson. These two men wrote Winner-Take-All Politics: How Washington Made the Rich Richer and Turned Its Back on the Middle Class, a book that explores the way the government now seems to support the rich. Along with the interview of the authors, Moyers includes scenes from the Occupy Wall Street movement. There is also testimony taken right from the floor of the Senate about the difficulty poor and middle-class families have trying to make ends meet.